Roelof Vos (1965) is Attorney at law, Tax Attorney and MfN registered Mediator. 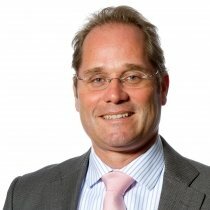 Roelof was partner at Arthur Andersen/Deloitte 2000 – 2009 and VMW Taxand 2009 – 2014. In 2014 joined the tax litigation firm Hertoghs Advocaten-belastingkundigen in Breda/Rotterdam. Roelof has a special focus on Tax litigation & mediation. Roelof teaches tax litigation at the University of Leiden and the Dutch Association of Tax Advisors (NOB). He is also co-editor of VAT Bulletin (Kluwer) and a member of the board of the Association of Tax Mediators (VFM), Association for Corporate Growth (ACG) and a member of the board of the Dutch Association of Tax Attorneys (NVAB).